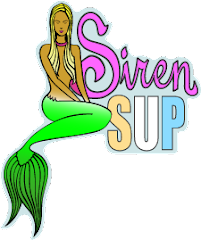 Join Siren Surf Adventures this summer on our inaugrual SUP adventure to the Caribbean July 14-18 and 21-25, 2011. Packages start at $1899 and include 4 nights/5 days accommodation AND round trip airfare from Fort Lauderdale. Come Answer the Call of the Ocean with us on this ultimate once in a lifetime ocean adventure. 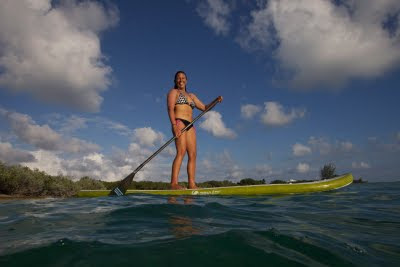 We will island hop via our private boat and explore each sucluded beach by SUP. Along the way we can snorkel with dolphins, fish for dinner and move to the calypso beat. Let Kristy guide you through these pirate waters she know so well and experiance why it truely is better in the Bahamas and best explored by SUP with Siren Surf Adventures.